Use your passion for soccer to reach out to at-risk Salvadoran youth. Gangs are a way of life for many kids living in or near San Salvador, the capital of tiny El Salvador. Many youth feel that joining a gang is just the way things are. Gangs offer them community and a sense of belonging they can’t find anywhere else. Christ For the City- El Salvador is working to make a difference in the lives of these youth and give them an alternative to gang life by teaching God’s Word, giving them positive friendships and mentors, and a place to do something they all love- play soccer. The Soccer Training School recruits at-risk youth and gives them a place to go every day before or after school. Christ For the City staff lead devotions before each practice and work hard to develop relationships with the youth and speak the truth into their lives. If you are a soccer player, we invite you to come experience this extraordinary ministry firsthand. 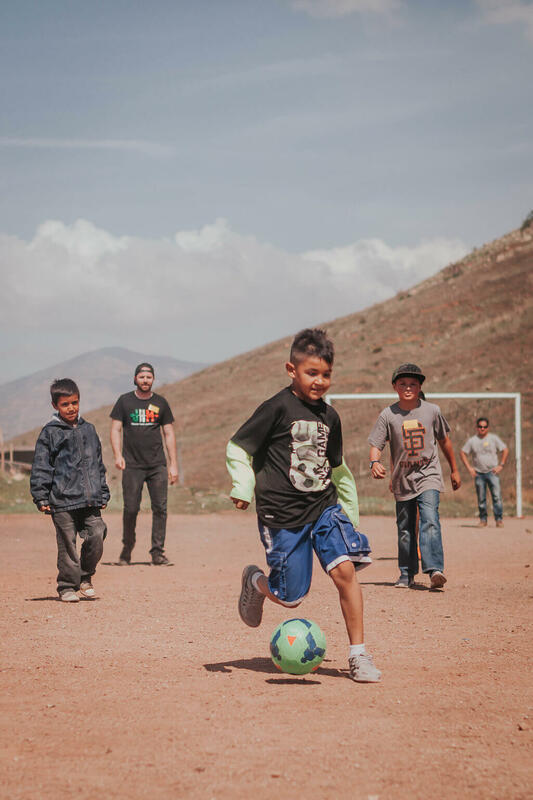 Help teach Salvadoran youth how to play soccer and how to build a solid relationship with God. You will find that the time you spend investing in the lives of these youth will change your own life as well.